Let's boil it down to the basics. The best way to build new muscle starts with this process. Arnold’s New Encyclopedia of Modern Bodybuilding is a great handbook for those looking to add new muscle. Many of you reading this will surely have read that. But if you’re not into the whole “read 1000 pages” thing and need a simpler starting point, then you’ve come to the right place. 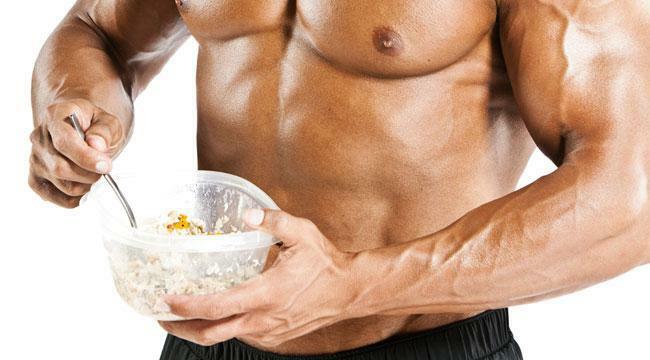 When trying to build mass, you need to keep it simple and follow a few basic rules. Once you can adhere to these rules – and the proper program – you will find that it is easier than you think to build massive muscles. Rule No. 1: You can’t lift too heavy or too light. There is no doubt that you can build mass on heavy weight and lower reps (1-5) but the load needed to gain mass on a low-rep program is difficult for the most of us. Unless you have a 400-pound bench press, 500-pound squat, and 600-pound deadlift, you will need some more reps. In order to cause enough stimulation for muscle growth, you need to have a higher time under tension (TUT) to cause enough microdamage to the muscle tissue. Conversely, if you train too light (15-25), you will not have enough load to stimulate strength in the long run. Different rep ranges on occasion help to break up the monotony but with proper nutrition and recovery, the 5-10 rep range will be the perfect prescription to gain mass. Rule No. 2: Think more is less. I see way to many bulking programs that are way too complicated. They have too many exercise choices, too much volume and not enough recovery days. They also get too crazy with advanced techniques like drop sets, rest-pause and tri-sets. While all of those methods have their advantages, you can’t do them all at once. You need to pick one method and go at it hard for 6-8 weeks. Keep the program simple and execute. Rule No. 3: Keep fat loss on the backburner. quality calories to recover and grow. Think about high-protein recovery shakes before, during and after in order to get good calories in and to optimize the anabolic window. You also need to make sure that you don’t do too much activity outside of your lifting days to optimize recovery and muscle growth. Avoid doing too much cardio, if any at all. If you must, keep it to no more than two days per week at a moderate intensity for only 20-30 minutes. Any more than that is going to hinder your mass gains. Keep it simple and stick to your goal.